This is the sound of your brain melting—a fondue caused by a Sears Portrait Studio heathered grey background and the cutest flop-eared helpless kitten ever. Full use of the "Pathetic" camera angle for extra effect. Extra points for the glossy eyes. Look away! What licence do these photos have? I just put one on my frontpage and made a link back here, but i do you have to rights to publish these photos? OMG that is the cutest little thing ever. Ah thats to cute. The cuteness, its taking over me. I must fight the cuteness. I'm losing. Ahhhhhhhhh!!!! My eyes are burning from the cuteness... DAMN MY EYES!! Looks like Puss in Boots from Shrek!! Awww! Sooo cute !! I saw this picture in The Guardian, with this website adress next to it, so I had to go on it! Oh my God, I just squealed really loudly. That's the cutest cat EVER!!! "Fear me! If you dare..."
He totally looks like Puss n' Boots from Shrek! awwww thts so cute I think I'm goin to cry!!!!! His (the kitten) name is Coco. I found it a few years ago on some website when I was recruiting for the army of 1337 ninj4 kittenz. LOOK INTO MY EYES................................................................................... YOU ARE FEELING LIKE FEEDING MEEEEEEEEEEEEE...............................FEEEEEDDDDDDDDDDIIIIIIIIIIIINNNNNNNNNNNGGGGGGG MEEEEEEEEEEEEEEEEEEEEEEEEE!! 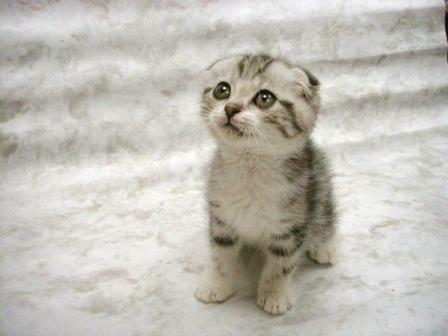 I HAVE TO HAVE THIS KITTY. "PRAYING FOR A BOY KITY!"